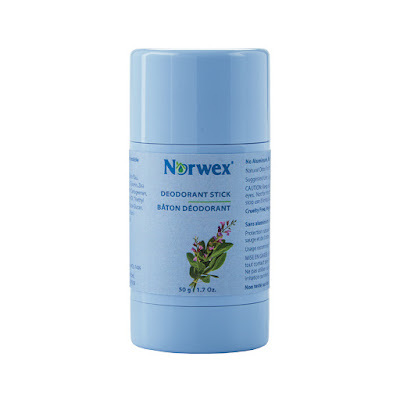 Natural Deodorant Stick uses a blend of essential oils and natural sweatcontrolling ingredients to help safely and effectively combat odor-causing bacteria. Formulated with Aloe Vera, Tea Tree and Sage, it helps soothe skin and keeps you feeling fresh and clean throughout the day. This deodorant is specially formulated to provide a cleaner, more even spread on underarm skin, and it’s strong enough to stand up to even the most active lifestyles, making it a powerful alternative to traditional antiperspirants that may contain triclosan, fragrances or other harmful chemicals. Try the Natural Deodorant Stick to help naturally eliminate underarm odor and achieve the long-lasting freshness you need to feel confident all day! Hydrates and keeps skin soft and smooth with its special formula, unlike deodorants made with potentially harmful ingredients. Unique, biodegradable formula is made with natural ingredients. Specially formulated with a blend of essential oils to provide a fresh, pleasant scent. Made with ingredients that are produced from environmentally sustainable and renewable processes only. Dries clear on skin and does not leave unsightly streaks on clothing. Gentle enough to use after shaving. Perfect for traveling or on the go. Sweat itself is odorless. It’s the bacteria on the skin that mingles with it that produces body odor.